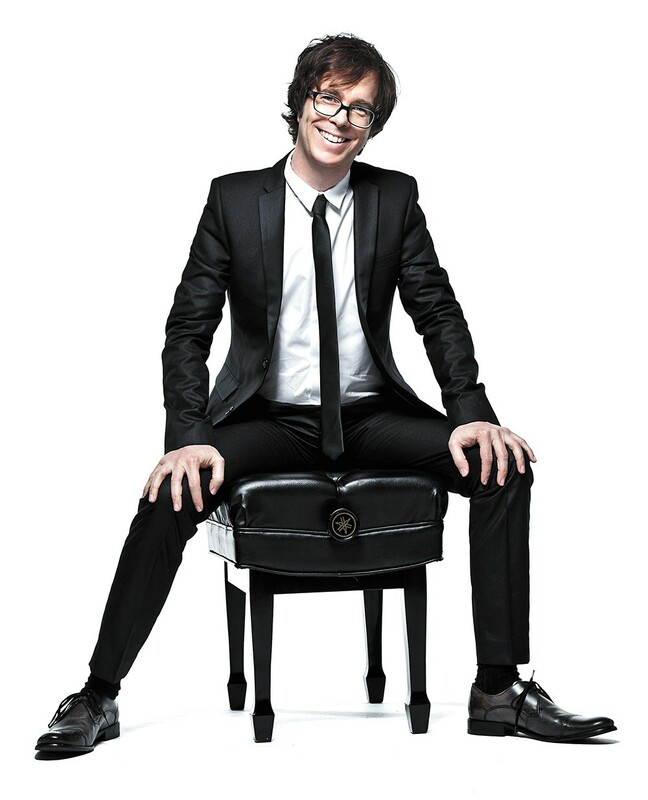 Ben Folds will hold a piano master class for a few lucky souls before his Knitting Factory show Saturday. Ben Folds doesn't want to give you piano lessons. At least not like that old lady down the street from you as a kid. But before most shows on his current solo tour, which features just the pianist and his instrument, Folds brings in about 20 people for a master class. It's at this gathering that the songwriter, composer and one of the most fascinating piano players of his generation shares some of what he's learned from his lifetime in music. You don't even have to know how to play the piano to come. "I've been doing music for a long time, and I didn't know anything for a long time, and now I know something. I'm not there to be a cult leader, and I'm not the guy who knows everything — and I'm not doing a TED Talk, either," says Folds, calling from New York, which was home base before he headed out on the leg of the tour that drops him at the Knitting Factory on Saturday night. Before he arrives in a city for these VIP master classes, Folds is in touch with local music teachers, getting an idea of the state of music education in that area. He likes being immersed in these discussions, considering he's spoken to lawmakers in Washington, D.C., about music education and also raised money for the Nashville Symphony's learning programs. Reading Folds' résumé is an education in popular music in and of itself. He spent his youth and early 20s playing bass and drums in a number of bands, and also worked in Nashville as a songwriter and studied music at the University of Miami. He dropped out of school before graduation, though, and dove back into piano. In 1993, nearly burned out on music, Folds, along with bassist Robert Sledge and drummer Darren Jessee, formed Ben Folds Five. During the mid-to-late 1990s, the act emerged as a sore thumb that was noticeable as alt-rock faded out and boy bands wrapped pop music in plastic. Again, it was the piano that gave the confusingly named trio (it's a poker reference) its unique standing. Onstage, the band looked like a jazz trio, but brought a heady mix of indie rock with pop flair and poetic (often biographical) lyrics from Folds. The piano riffs were loud but technical, and amplified in their live show by Folds' bombastic attack on the ivories. Folds sometimes called it "punk rock for sissies." There were hits like "Battle of Who Could Care Less" and the somber "Brick" that got some radio play, but fans were stunned when in 2000 the band called it quits after just three albums and a collection of B-sides. Folds, of course, struck out on his own, scoring a hit immediately with Rockin' the Suburbs. Folds just turned 50, but says he hasn't thought too much about getting older. He didn't do much on his birthday, but did rescue a squirrel, so that counts for something. "I've always been into writing from the old man point of view," he says. "I think I've always thought that endings were poignant and moving on has always been breakups and leaving — but dying is a good one, too." The solo shows aren't about wanting to calm things down as he gets older, though. Folds has always done shows with just a piano and no band. A true virtuoso with a knack for improvisation, Folds says there's a kind of freedom when he strips everything down. "I think that piano — solo piano — boils it down to the song, and nothing but the song. It also allows for pivoting on a dime, so I can suddenly bring a chorus down to a whisper for no reason at all. But you can't do that with a band," he says. Folds' most recent album, So There, was a collaboration with the Nashville Symphony. He also didn't forget the torrent of sound he could bring with the other two-thirds of Ben Folds Five, which reunited in 2012 for a tour and an album, with possibly more to come. Folds has also dabbled in composing for the screen, recently scoring a film written and directed by Jeff Garlin of Curb Your Enthusiasm fame. The solo shows are personal but still loud, and offer a look at the talents of an often overlooked songwriter. Folds doesn't mind being thought of as a piano man, even if he's done a lot more than tickle the ivories in his career. But for him, the piano is just the conduit.